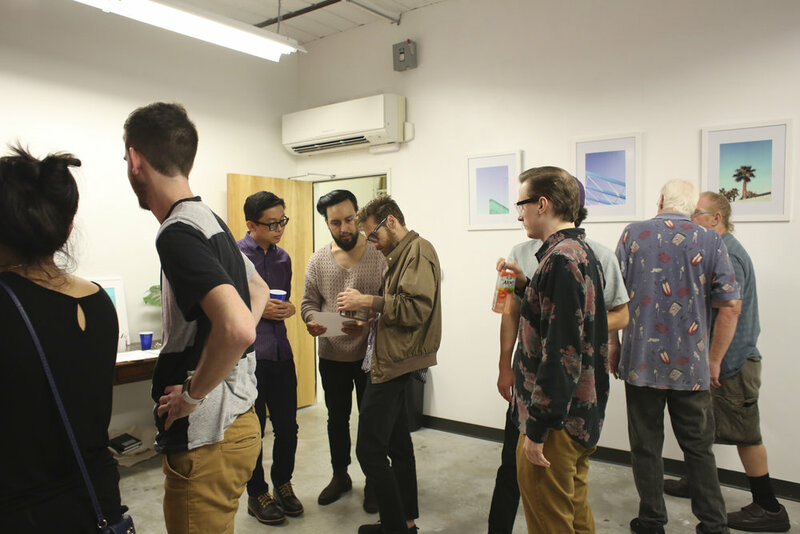 Today marks a week since my second solo gallery exhibition and first show in Austin. 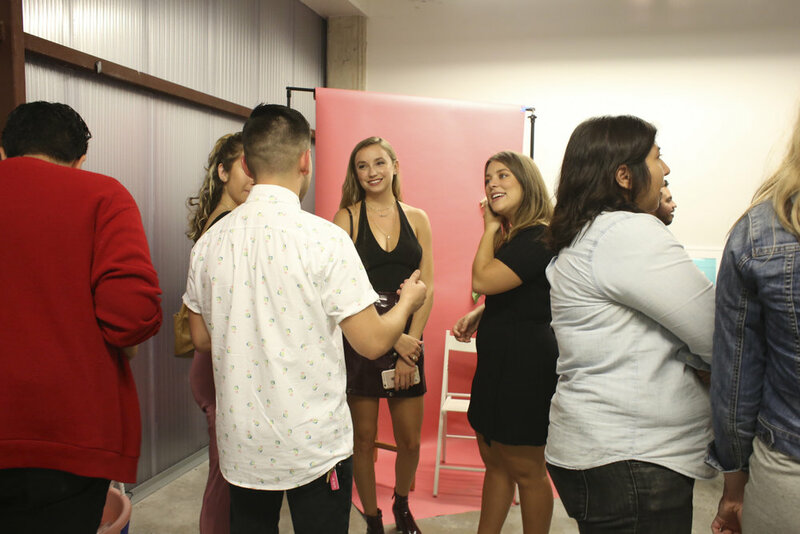 I had the opportunity to connect with the team over at Omni Modern after visiting their first show titled Who is She? by the talented Whitley Roxanne. We embarked on a extensive collaboration over the span of a month and a half to bring you Azul. It had been a year since my last exhibition and the timing could not have been better. Eager to show and to have tangible prints of my work. I was now tasked with creating a body of work to display, but that was easy. If you follow me on Insta I’m sure you see me snapping away all the time. The hardest part is finding meaning and resolution in the work that is going to be displayed. Creating art is part of my life and the meaning is not always clear or even there. Art in my perspective can definitely be a call to action with a message or meaning and for pure aesthetics. I took the time to look over my Instagram account, my iPhone camera roll, and my external hard drives. In search of something meaningful. Something that seemed elusive, but was right in front of my eyes. Through my search of images. I kept shooting and it wasn’t until one day. I was taking a photo of that new building downtown the Fairmont, that everything fell into place. Since last year. I had noticed a pattern in my imagery that brought lots of blues into my photographs. As a artist, I've come to realize that selling art is hard. I had maintained a full time job at Apple and done freelance on the side. But with all this work I was left drained and exhausted. I kept telling myself to keep looking up and to power through it. Life comes in highs and lows and I needed to learn to cope with the lows. In a effort to cope with the lows I kept looking up and finding peace and tranquility in the clear blue skies of Austin. From looking up, I soon found myself breaking up the skyline of Austin. 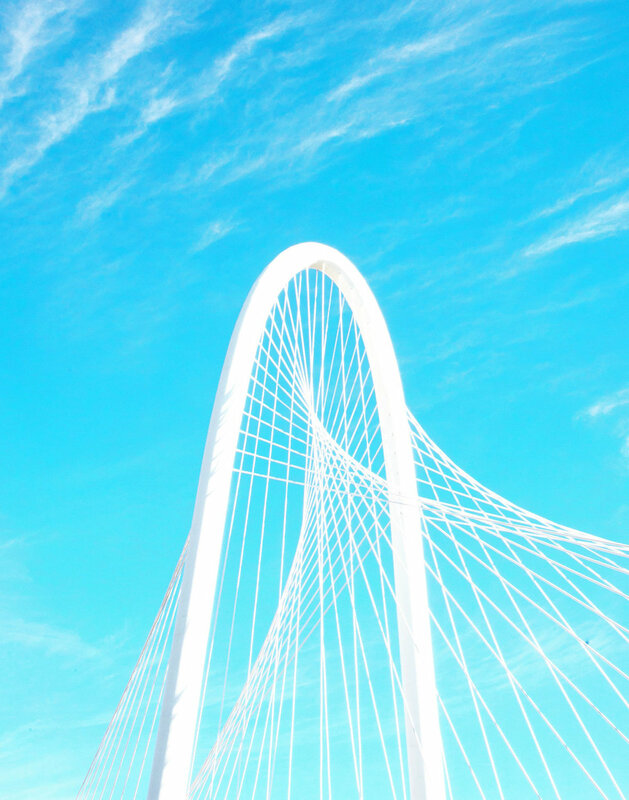 Creating minimal compositions that incorporated the vastness of the blue skies but remained grounded by elements in the forefront. Like that Azul came about. Made up of eight pieces. Azul had been my escape and method of finding resolution and peace with my life. I was excited to share this work and experience with folks in a real space. 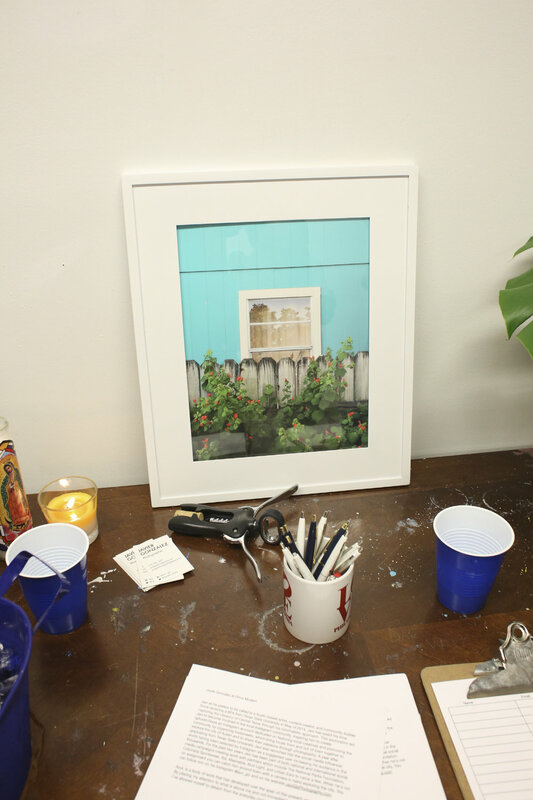 All work was matted and hung in white frames to keep the presentation in line with how I show work on Instagram. The work was hung a bit higher to force the viewers to look up slightly. In efforts to further drive the meaning behind looking up. Now this wasn’t just a regular gallery show. We wanted to give our visitors an experience! To complement the blue work on the walls the team and I over at Omni Modern put a photo booth together. 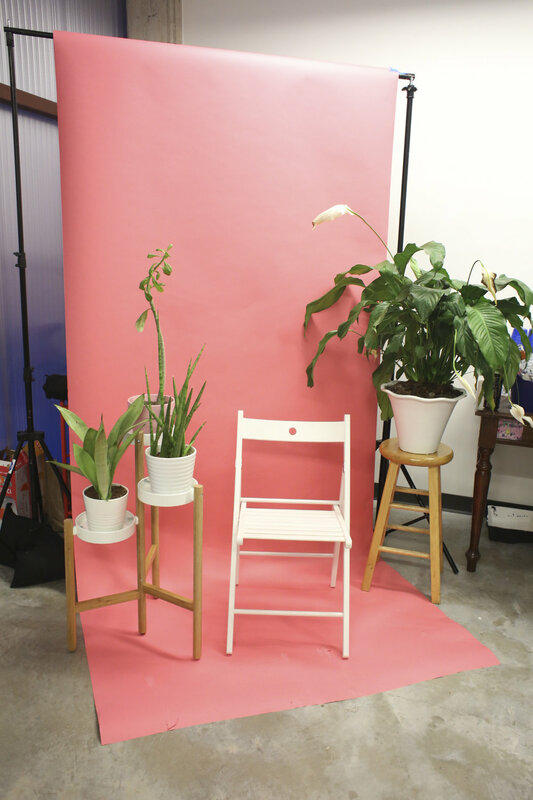 With a pink backdrop and some of my plants you could walk away with a cute photo of yourself in the space. Living in a digital age it would be silly not to encourage folks to snap pics to share online. To top it off we had a raffle in which you could win one of my framed prints. As the night kept on going, I couldn’t believe it was happening. A year ago I was sweating bullets in San Antonio talking about my work and this time around. 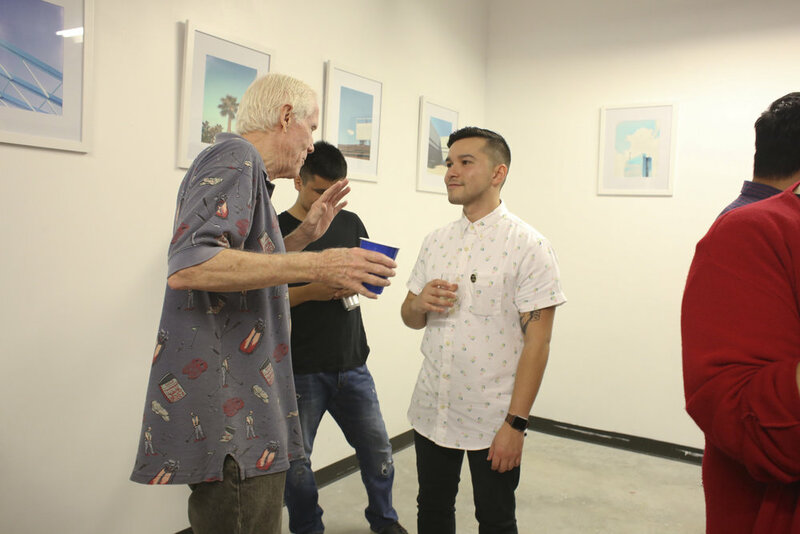 I was the one actively creating dialogue with the attendees and seeking critique. For the longest time the hardest part of being an Artist was talking about my art. But I’ve met lots of people in the past three years since graduating college and pursuing a career in the arts. Thus making it easier to slip into this artist role. The show has come to an end but the learning experiences it brought me. Will be applied in future shows for sure! I’d like to conclude with a thank you to my supporters who take the time to keep up with me! I know you had to take time out of your day to read this so... shoutout to you! Big thank you to the Omni Modern team who was with me at every step of this journey and made this experience a reality for me. Thanks for seeing the value in my work and taking a chance on me. Be sure to check them out as this young collective of talented individuals moves forward with more shows and continues to support the local arts. 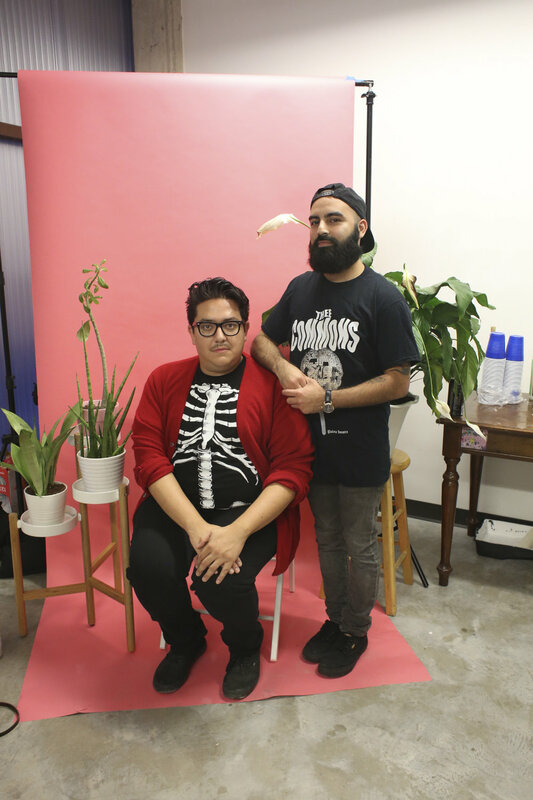 Big ups to the homies Santi, Mario, Carlton, for all the support and love. My babe Vickie, who's been my constant support and inspiration. Last but not least to all the amazing people that showed up to support me in this special night. From the bottom of my heart I appreciate every single one of you! All work is available for sale and ready to be hung in your safe space for the cost of $250.00. Images are 11X14in framed on 16X20in frames. If you’re interested please feel free to reach out and support your homie as he continues to chase his dream of being an artist.